Apple Mac Hard Drive driving you crazy? Our friendly team is happy to help recover your data from your old Apple hardware and convert files to modern OSX or the Microsoft Windows PC computer. 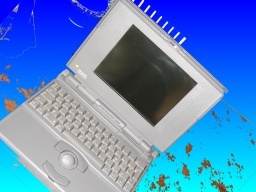 We can get your files off old parallel connected ide, scsi, firewire, and usb Mac formatted drives. This includes when the drive won't boot up, or fails to mount on your desktop. 2.5" and 3.5" inch drives can have their files and folders transferred off, and saved to USB, CD, DVD or download links. We transfer files from old SCSI apple hard disk drives to CD or DVD. This includes the 2.5 inch Quantum Quantum Go-Drive and Western Digital WDS SCSI drives which have the rare 40 pin-out interface connector with a separate bank of 8 pins, which does not connect to standard SCSI cards. These were used in Apple Mac PowerBook pb 100 140 145b 150 160 170 series with model numbers such as GF40S022 and Western Digital, IBM WDS-2120. 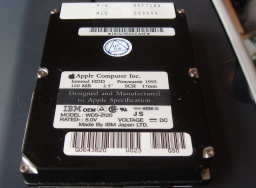 The Mac desktop computers used 3.5 inch SCSI drives which are no longer directly supported on the Apple machines. The larger desktop 3.5inch SCSI drives were available up to the early Power Macintosh G3 as well as the earlier Mac Classic SE Plus and Quadra. The SCSI HDDs were usually made by Conner, Seagate Western Digital (WD) and Quantum. 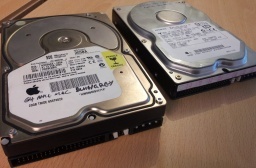 We can undertake data recovery and file transfer from these drive to another hdd, USB or CD. Time scale usually only 2 days for transfer. Call or email us for a quote now. We can transfer data from the old IDE / PATA / ATA connected hard disks drives to say a USB drive or download link. We can also convert your G3 and G4 files for use in OSX, Windows, or Microsoft Office applications. Over the years we have also managed to convert some software specific file types to modern formats so images could be displayed, or files opened. Convert files from old vintage mac's. Save Vintage mac hard drives to USB, CD or DVD. Transfer files from Apple mac ClarisWorks, MacDraw files. Claris Works Word Spreadsheet files. DOS Compatible 610 DOS, LC 630 DOS. Apple Mac HDD Conversions Transfer problems that we recover data from are listed below. Apple mac Macintosh hard drive transfer or hdd transfer scsi drive transfer to USB or CD or DVD. 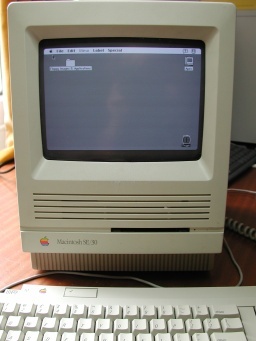 Old Apple Macintosh . We will transfer Mac hard drives to USB, CD, DVD or Download link. Apple Macintosh desktop and PowerBooks with SCSI, IDE, PATA, Parallel connected disks. .